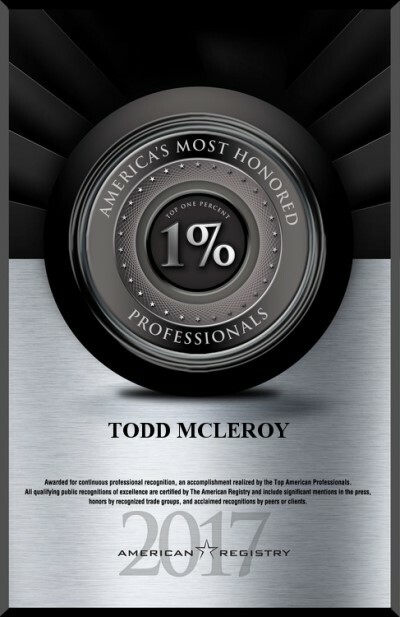 Todd McLeroy has been named to the Top 1% of American Professionals by The American Registry. The American Registry is the repository for the professional honors and recognitions of North America’s top performers. Their commitment to excellence together with the ratings of their colleagues, clients, and industry analysts has earned them their listing in The American Registry.